Great Partner to create larger projects. Little genius of enormous potential. 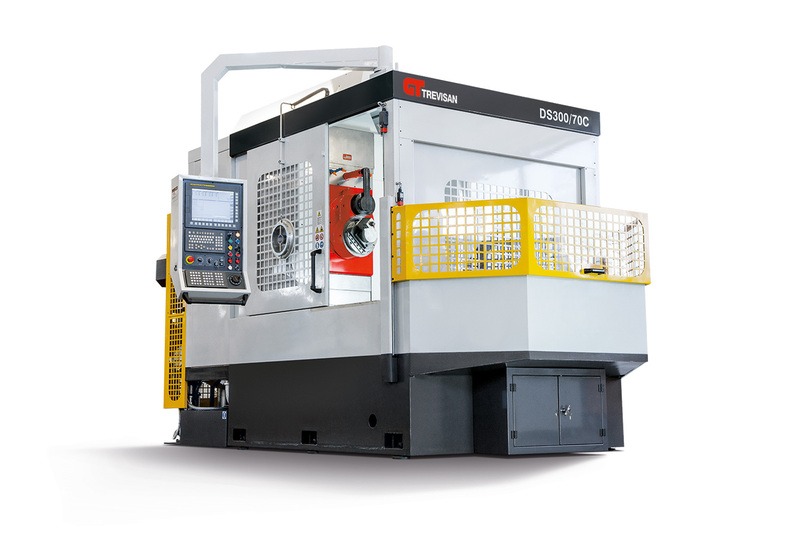 The work center DS 300/70C is a little genius with enormous potential, because it combines all the benefits of the work that can be performed in a fixed piece and every stage of turning is extremely precise and safe, thanks to the machining program at constant cutting. Changing the tool is not always the best solution. 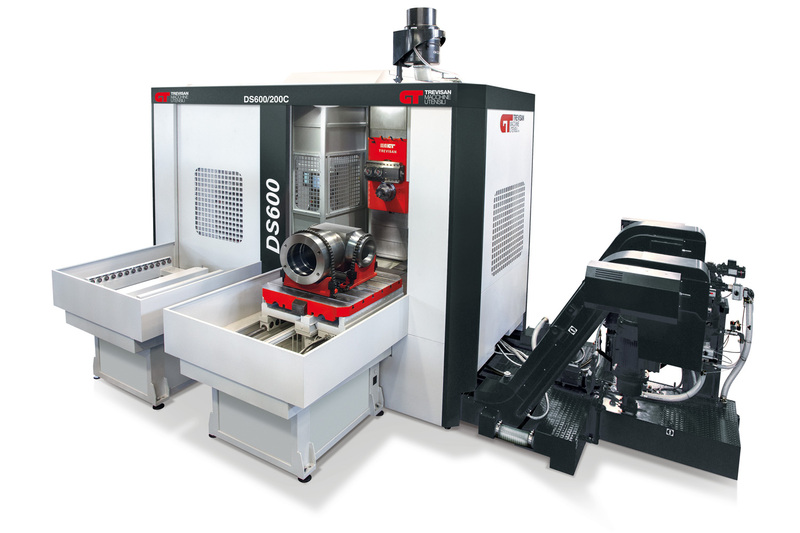 The DS450/130C contour head allows you to use a single tool to turn diameters from 0 to 600mm without changing the tool or stopping the machine. Password: versatility. Not always change tool is the most functional solution. The work center DS 450/130 C, thanks to its two attacks Tool on a mobile cart, makes it possible to perform turnings from small to large diameters without any kind of problem. When the game gets tough. When the going gets tough, the tough get going. And we can say that the work center DS 900/300 C is a workmate very tough, can withstand up to 6000 kg of weight and turning up to 1400 mm with stationary piece. The factotum giant. 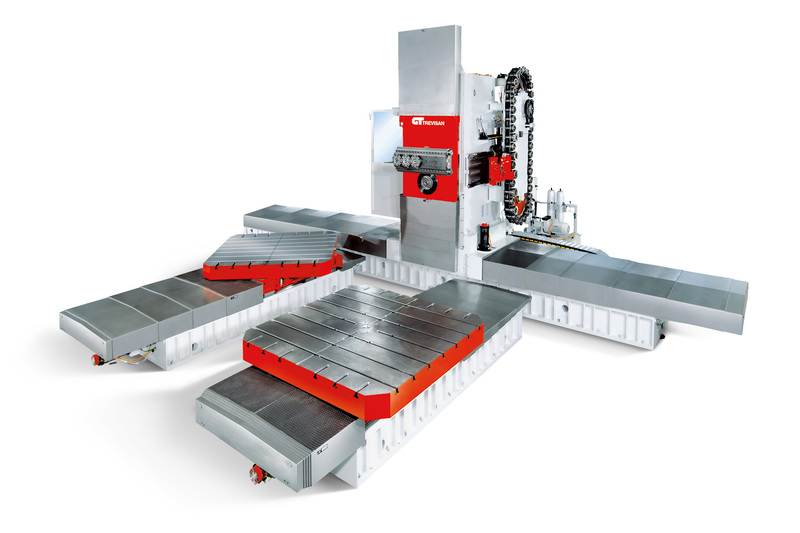 The machine center DS1200/450 and DS1500/450 are the ideal solutions for machining your large parts that require multiple tools for turning and milling operations. An “extra-large” machine, with an “extra-large” range of options. The colossus of our family. 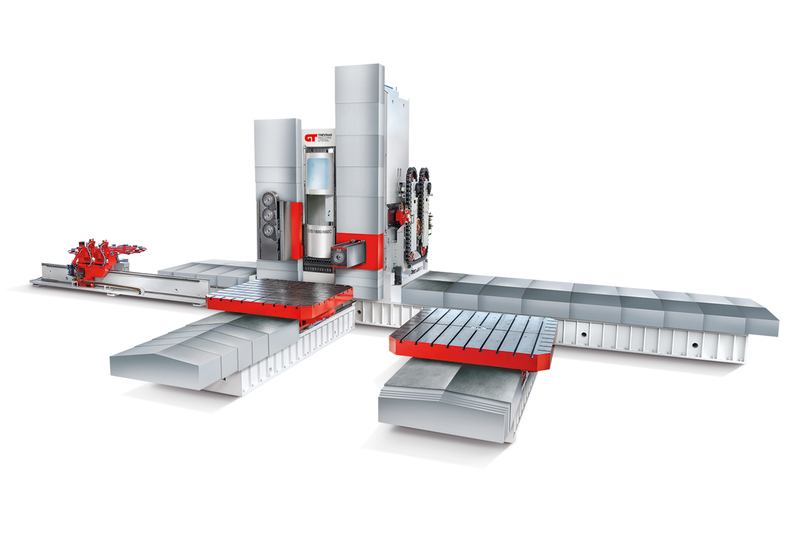 The DS1800/460C machining center is a double column assembly, One for turning, the other for milling. The contour head can turn diameters of up to 3000 mm in diameter. The contouring head is supported with automatic tool changing and can support tools, such as boring bars, up to 1800mm in length and 350kg. 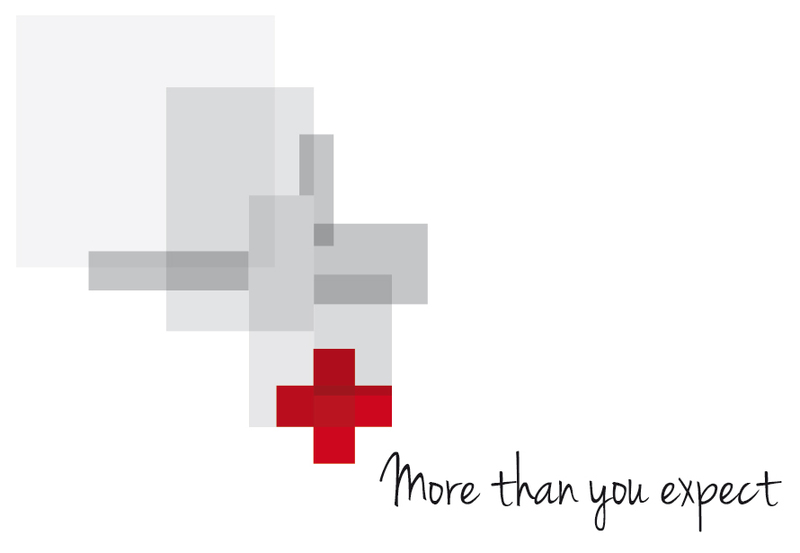 With the work piece stationary, the benefits multiply. 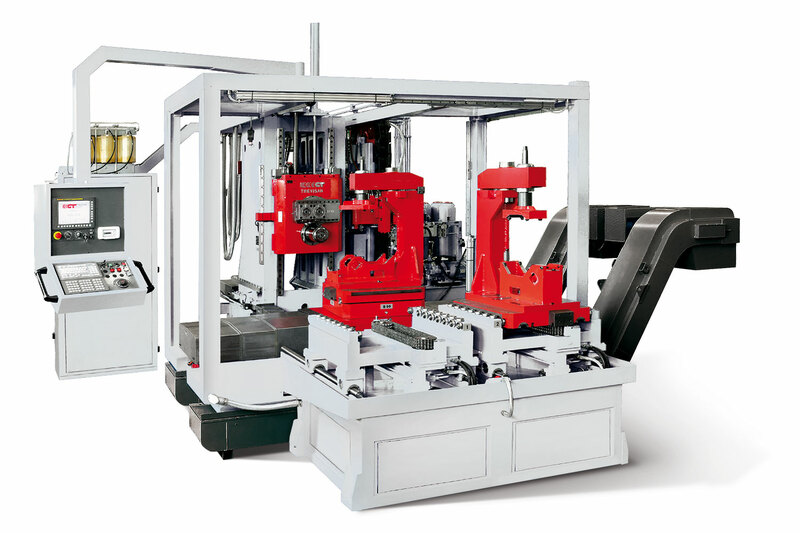 By fixturing the part to access all sides and completing the machining and turning all in one setup, sometimes two, the cycle times will commonly be reduced by 1/3. Standard processes can have up to 5 setups to one on the Trevisan Machine. The risk of injury while handling these large parts many times during conventional processes is greatly reduces when completing the parts in only one or two operations. When the workpiece is fixture once then the geometrics of the part and alignment are not compromised by multiple setups. Doesn’t matter what operations are required. 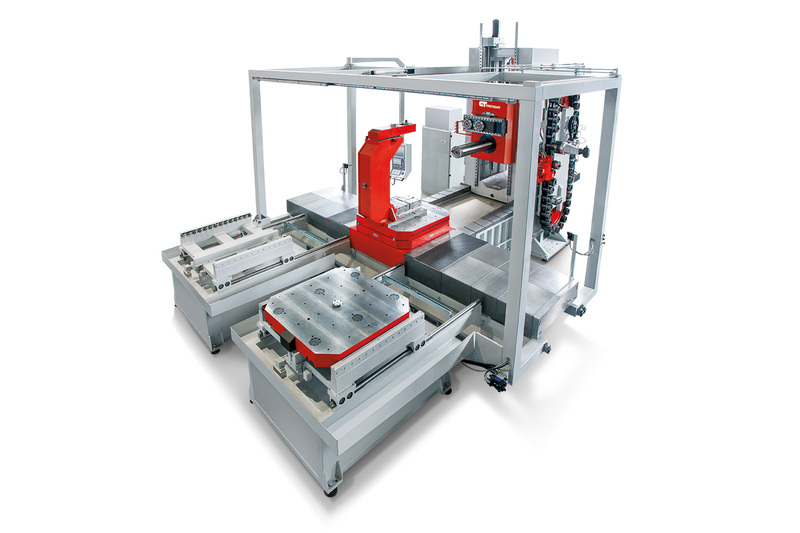 The tools holder and the heads are compatible with any type of tools for machining center. All movements and stroke are driven by numerical control. From design to production to after-sales service, we are always here for our customer. Trevisan always has the answers you can count on. Since 1963 Trevisan has established worldwide for the technology developed primarily to serve the energy sector. But there is much more. Our work centers are highly customizable, confirmed adaptable performing and also in the agricultural, aerospace, aviation, marine, automotive, mechanical and renewable energy.